So, you’ve mastered Ford’s Front Park Aid (by which we mean you’ve mastered parking), now what? Well my well-rounded friend, you can kick back and relax without a worry in the world.  One of the reasons Team Ford is Edmonton’s favourite dealership, is that we love and embrace everything the City of Champions has to offer us—including our beautiful parks. I mean sure, you could go to the mall on one of Edmonton’s beautiful, sunny, and all-too irregular summer days, but I’d be more worried about some yahoo from Calgary up for the weekend, dinging your door in the parking lot. A better plan would be to pack up your picnic basket, and enjoy some of the local beauty. So park that keister, mister, as we list the best spots in Edmonton for you to utilize your Ford’s Front Park Aid. A quick 15 minutes outside of Edmonton is the town of Devon which, thanks to the University of Alberta, is home to the Devonian Botanic Garden. 240 acres of indoor and outdoor space houses 10,000 plant species, including man-eating Venus flytraps! Well, maybe they aren’t man-eating, but wouldn’t you like to find out? The Garden is the perfect place to sniff flowers, bask in the beauty of nature, or even propose to your loved one (it’s been ten years, just do it already!). Sounds like the perfect place to put Park Aid to work. There’s plenty of parallel parking space for you to show off your skills at Edmonton’s William Hawrelak Park—a 168-acre with a lake, small islands, and tons of room for activities. Feeling like recreating the beach volleyball scene from Top Gun? You can do that. Paddle-boating aficionado? Get those little legs pumpin’. Like feeding ducks bread? Well you really shouldn’t, since it is essentially junk food for those poor little ducklings. But you can feed them something healthy like canned or frozen corn and peas, or kale. Yes, that’s right, the ducklings at Hawrelak Park can be just as health conscious as all of the yoga practitioners making their way down Whyte Ave in their Birkenstocks. William Hawrelak Park is also home to some of Edmonton’s best festivals, from Heritage Days to Symphony Under the Sky to the Freewill Shakespeare Festival. Would a park by any other name be so, uh, great for parking your Ford? Me thinks not. Like dogs? Of course you do—you’re not some sort of inhuman monster! Take the footbridge from Hawrelak over to Sir Wilfred Laurier Park, and enjoy one of the city’s best combination outdoor areas. An extensive off leash area and hiking trails leads to an area for group picnics, BBQs, baseball diamonds, and more. There’s also a rowing club and boat launch, meaning you can relive those old Ivy League glory days. You’re also a short walk from the newly revitalized Edmonton Zoo, which has spent over $50 million dollars in construction to go from Bob Barker’s nightmare to a conservationist’s paradise. This is just a sampling of what Edmonton parks has to offer—the North Saskatchewan provides our beautiful city with acres of river valley that allow you to capitalize on our unfortunately short summer. So get out there, and put that Ford Park Aid to use, by enjoying all of Edmonton’s beautiful parks.